Again iMerge is nominated in 2006 as a Deloitte EMEA Fast 500 company (Technology). Based on fast growth performance over the past 5 years. 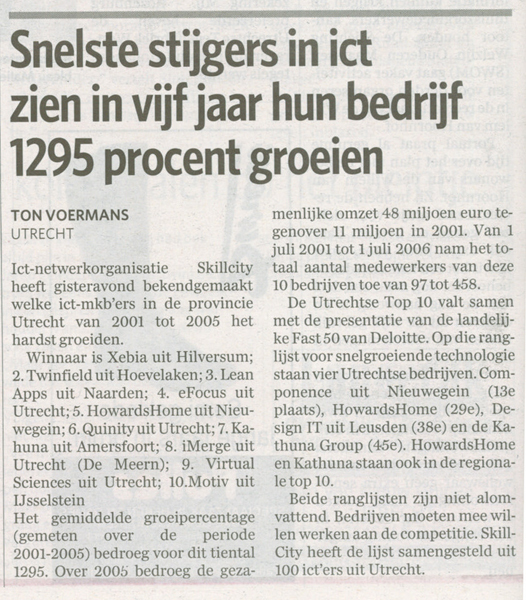 iMerge was also ranked in the top 10 of fast growing Utrecht area companies ;-). See also AD.